History: I purchased this vehicle in 2007 from the show room floor of an auto company that specializes in classic vehicles. 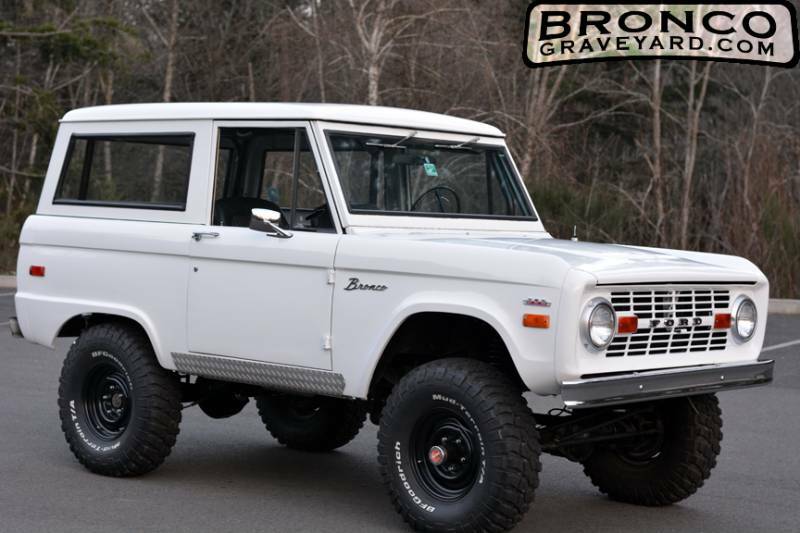 The Bronco was very clean when I purchased it; however, over the years I have updated the rig with various parts and services in the areas of mechanical, interior and exterior. I have always kept the rig stored indoors in a heated garage. In the time that I have owned the Bronco, I have put a total of 1,800 miles on the rig. 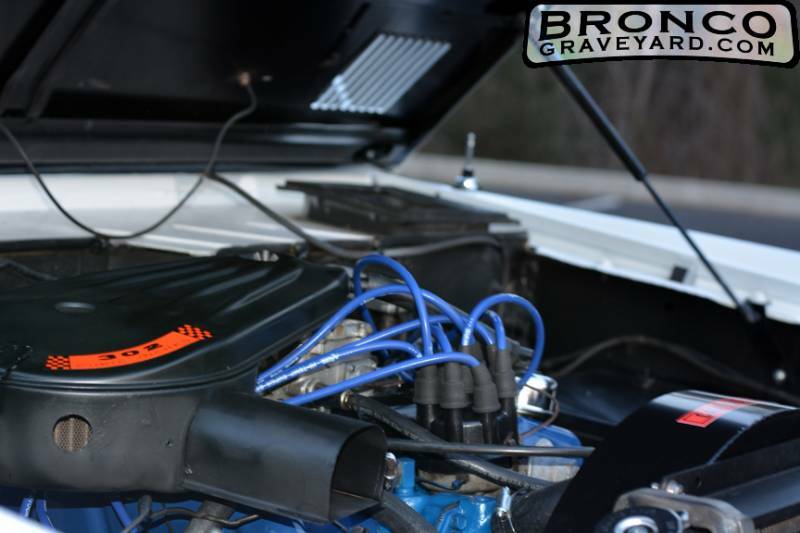 With a body-on restoration, most of the work has been done in professional shops with precision and attention to detail. Some items were custom built for the rig, such as the safari black-powdered roll cage and custom metal black-powdered rear quarter panel inserts to match the interior door panels. 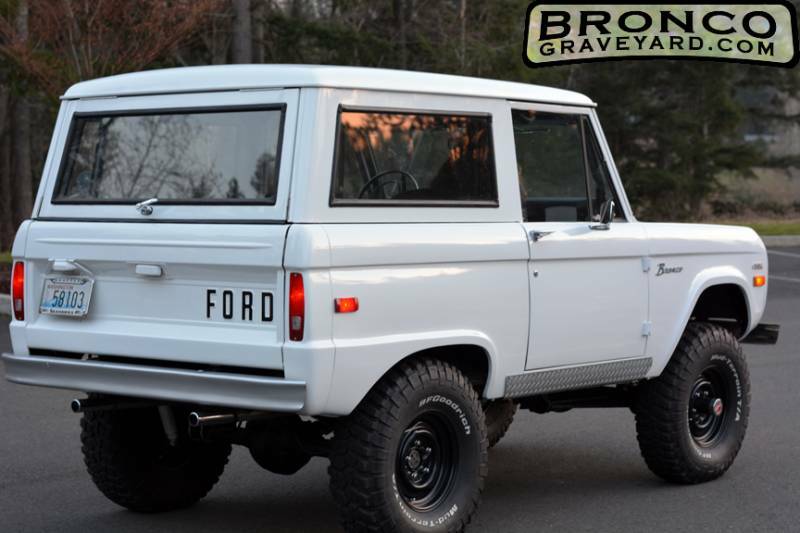 This Bronco really is a clean underneath, garage kept and undercoated. 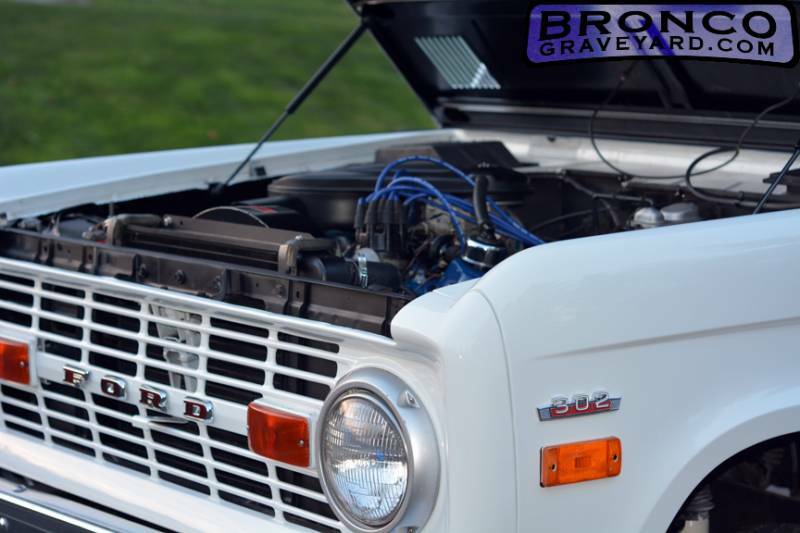 - A new single digit Tachometer has been installed that matches the factory speedo cluster. - High-grade Pioneer stereo has been installed and powered by an Alpine 4-channel amplifier (50 watts RMS x 4) that boosts the Infinity speakers in the custom back metal panels and the thump of Kenwood sub-woofer behind the rear bench seat.